We offer full Asus gaming laptops repairs services to cater to the growing needs of Asus repairs in Perth WA Asus gaming laptops are just exceptional. 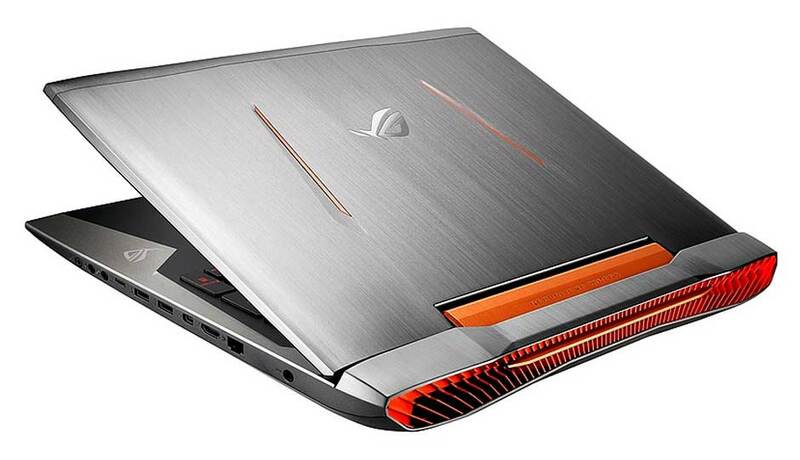 Their gaming laptops released in 2018 and 2019 are equipped with 8th gen processors, offering improved gaming performance and taking the multitasking concept to a whole new level. The screen may break or the touchpad might stop working. And the network connectivity might get faulty. You can experience technical issues with your Asus Gaming Laptop, even if it is fairly new, Thus, support by a team of professionals who can fix your ASUS laptop ASAP who can provide a clear and concise solution. No need to waste precious hours on Google trying to decipher the true cause of the problem. You should hire a team of specialists to solve it quicker and safer. At Gold PC Mac And Computer Repairs, we offer comprehensive Asus gaming laptops repair services in Perth and surrounding areas. We have that team of specialists who can solve your problem extremely fast and gain you the peace of mind that your laptop is safe. We also offer 3 months full warranty of any hardware repair we do. Contact us and one of our team of technicians will fix your problem in no time at all. Asus gaming laptops come with several advantages over other laptops available on their market. Asus has a unique and simple goal to enrich the multimedia experience of its users. They have managed to achieve this goal with ease by releasing super high-quality, high-performance gaming laptops. Asus offers exclusive technology specially designed to enhance its series of gaming laptops. It has apps for boosting memory, tools, and utilities for everyday use, software for boosting productivity, and the list goes on. The Asus giftbox is quite large. With an Asus gaming laptop, you can boast in front of your friends and colleagues. Your laptop benefits of the exceptional Asus eye care technology, which decreases blue light by up to 33%. You can also enjoy the Sonic Master technology or the Audio Wizard to experience astounding sound quality. Asus gaming laptops are also equipped with unique technologies from the manufacturer, such as Tru2life, SuperBatt, ergonomic keyboard or IceCool. In addition to Asus repair services, we also offer upgrade SSD services for your Asus gaming laptop. An SSD is less likely to fail, it doesn’t heat up and offers more performance for games. When you are in the middle of a fight in your favorite game, the last thing you want to experience is a computer failure. You’ll never experience it with an SSD. Compared with an HDD, SDD is more secure, prolongs your battery life and gives you better responsiveness in games. There is no doubt that your Asus gaming laptop is something you are quite proud of. That’s why you are looking for a permanent fix to the problems you are facing. Look no more. Our experienced technicians are ready to help you out. Our teams have decades of combined experience in fixing broken or faulty Asus gaming laptops. Because of the growing number of gamers who purchase Asus laptops, we decided to expand our team. Thus, we can now easily accommodate all orders. We have experience in dealing with any type of gaming laptop issue: bugs, lags, screen failure, hard disk failure, screen freeze, blue screen, pixels on the screen, etc. Do not forget about our 3 months warranty. Contact us now and we’ll help fix your Asus gaming laptop.